Polo Ralph Lauren is often considered the all-American label and AW15 sees the designer take things to the next level, thanks to a varsity inspired collection. When we headed to London in March to buy new season pieces from the designer, this chunky grey varsity knit was top of our list of must haves. Whilst we love that it suits the season’s trend so well, it is the simplicity of the style that appeals the most. Grey knits have become a wardrobe staple and the chunky ‘P’ motif keeps this one a step ahead of the rest. Another example of the preppy look that Polo Ralph Lauren do so well, the relaxed sweater will look as good with weekend comfy casuals as it will with a white shirt underneath and smart jeans on the bottom. Visit Robinsons today and shop the new season AW15 collection from one of the region’s leading stockists of Polo Ralph Lauren menswear. BIG AND BOLD OR SMALL AND SUBTLE: HOW DO YOU LIKE YOUR RALPH LAUREN? The Ralph Lauren Polo Shirt has stood the test of time to become a staple garment in many a man’s wardrobe, perfect for summer and reimagined in new colour ways each and every season. But the question is do you prefer your pony marque small and subtle or big and bold? We think the Ralph Lauren Polo Shirt’s subtle smaller logo lends a smarter edge as a more casual alternative to the button down shirt, whilst the bolder pony and crest designs add a touch of Americana to laidback weekend looks. Whichever you prefer, the Ralph Lauren logo is synonymous with classic off duty style and the bold punchy brights of the new SS15 collections will brighten your summer looks. Visit us in store to see our full collection of Ralph Lauren Polo Shirts and more from the SS15 collection. DO ANYTHIN’, BUT DON’T STEP ON MY POLO RALPH LAUREN SUEDE SHOES! If Elvis had decided to vary his suede shoe game, we think these Polo Ralph Lauren styles would have suited him just fine. After all, why limit yourself to just the one hue when Polo Ralph Lauren does so many shades so well? Add the Camel Suede Chukkas to your footwear collection for a wear-forever style or go for new season navy in the Torrington Suede Derby Shoe. Looking for a more gentlemanly approach? 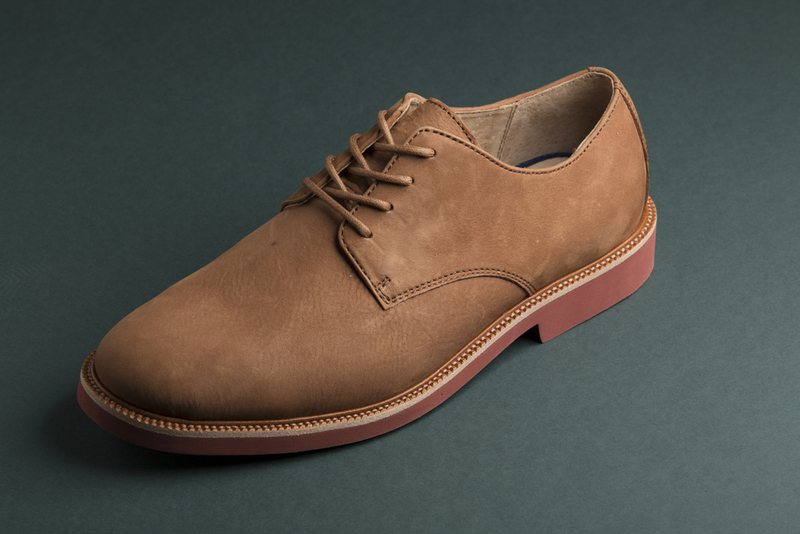 The Snuff Suede Oxford Wingtip finishes tweed waist-coated looks perfectly. Bold brick-coloured soles add an extra shot of colour to a range of wearable styles. Visit Robinsons today to see the full Ralph Lauren SS15 collection of clothing and accessories. The first bank holiday of the year has been and gone and the weather is finally hotting up, which can only mean one thing; summer holidays are coming. Whether you plan on hitting the beaches of the Caribbean, heading to the surf of the British south coast or lounging poolside in the Mediterranean, make sure your POLO Ralph Lauren swimwear is the first thing in your case. Give a nod to the exotic Hawaiian tropics with an all over floral print, channel Moroccan vibes with the navy geometric design or keep it simple but chic in nautical but nice stripes. The triangle bikini style is simple but effective and side-tie bikini bottoms will elongate legs for a streamlined silhouette. Slip on the POLO Ralph Lauren Crochet Tank Dress or Trousers for a cover up that will take you from beach to bar in one stylish swoop. Find out more about POLO Ralph Lauren swimwear in store.